In the very precarious world of hunting, target spotting and military action, precision is highly valued. Indeed, the user of a rifle is only as effective as the power of his or her riflescope because the human eyes, unlike those of the eagle, can only take him/her so far. In choosing a riflescope, therefore, you want one that is affordable, offers extreme precision, comes with high zooming quality and picture resolution, and is easy to maintain and carry around, even under extreme conditions. In this review of the Pulsar Apex XD38A Thermal Riflescope, we discuss these features and more, with the view to helping you make an informed purchase. 2.0.1 Q. Who are the manufacturers of Pulsar Apex XD38A Thermal Riflescope? 2.0.2 Q. Is the riflescope impact-resistant? 2.0.3 Q. Does this product come with a warranty? 2.0.4 Q. What colors can I purchase the Pulsar Apex XD38A Thermal Riflescope in? 2.0.5 Q. Is the Pulsar Apex XD38A Thermal Riflescope frost resistant? 2.0.6 Q. Does the riflescope come with a case for holding it? 2.0.7 Q. Does the riflescope come with a lanyard? 2.0.8 Q. What is the weight of the Apex? 2.0.9 Q. What are the dimensions of the riflescope? 2.0.10 Q. Does the riflescope come with an external power supply cable? 2.0.11 Q. Is the device weatherproof? The Pulsar Apex XD38A Thermal Riflescope comes with a very good Liquid Crystal Display (LCD) screen that provides an extremely sharp resolution. The LCD display is also energy efficient, using very little battery power to do its work. What this means is that owners get to save a lot on battery life. Finally, the LCD screen of the riflescope saves owners the inconvenience and embarrassment of screen image burn-in. Indeed, the LCD image is a good feature of this scope. The Pulsar Apex XD38A Thermal Riflescope comes with a portable wireless remote that makes it easy to perform functions like zooming and changing screen resolutions without losing your focus on your target. The remote control feature is certainly a hallmark of the flexibility and comfort that the riflescope gives to the user. The durable and portable carrying case of the Pulsar Apex XD38A Riflescope makes it easy to carry the scope from one end of your terrain to another. The carrying bag can be zipped, thereby precluding the scope from falling out of it unexpectedly, and without the user being aware. When it comes to cleaning a riflescope, a lot can be damaged when you use the wrong cleaning material. The makers of the Pulsar Apex XD38A Riflescope had this in mind when they created a soft and portable cleaning cloth for the scope. This cloth can be used to clean the screens and body of the scope without causing any harm to the device. Isn’t it frustrating when you want to shoot at your target but you vision is blocked by a leaf or stampede? The Pulsar Apex XD38A Riflescope comes with a thermal detection technology that uses heat from the target to draw it out so that the user can view it properly. After the user has taken a zeroing shot at his/her target, the scope’s freeze function saves the frame of the target in memory. This way, the user can align the reticle with the point of impact by just looking at the frame, without moving the rifle. Another great feature of the Apex is its internal dampening system whose primary job is to keep the scope’s thermal core stable and steady up to about 1,000Gs of recoil, which is quiet major. According to the manufacturer’s, 1,000Gs of recoil is similar to a.375 H&H bolt-action rifle. After the image of the target has been captured on screen, the scope’s picture-in-picture feature allows users to open an additional zoomed-in display of the target. Furthermore, the 4x zooming feature allows the user to see minute details of the target. The Pulsar Apex Thermal Riflescope comes with a number of mounting holes at its base. This feature is beneficial in two ways: first, it allows the user to mount the scope on almost any rifle. Second, it allows the user to assume different positions as and when required. The scope is very durable and portable. It comes with cleaning cloth. It comes with adapter cable. This riflescope has wireless remote control. The price of the scope is relatively affordable, compared with riflescopes of similar quality. The scope requires only 2 lithium metal batteries to operate, unlike other similar scopes that operate on more than 2 batteries. It comes with updatable software, which will always help in improving the scope’s performance. The Apex is covered by a 3-year warranty. It doesn’t come with belts or straps to tie around the hands. It doesn’t come with lanyards. Q. Who are the manufacturers of Pulsar Apex XD38A Thermal Riflescope? A. Yukon Advanced Optics Worldwide produces the Pulsar Apex XD38A Thermal Riflescope. Yukon Advance Optics is a manufacturer of a wide range of civilian thermal devices, and has been in business since 1994. A. Yes, the riflescope’s body is made of fiberglass reinforced plastic, making the scope very impact-resistant. A. Yes the Apex is backed by a 3-year warranty. Q. What colors can I purchase the Pulsar Apex XD38A Thermal Riflescope in? Q. Is the Pulsar Apex XD38A Thermal Riflescope frost resistant? A. Yes, the riflescope is frost resistant. A. Yes, the riflescope comes with a zip carrying case. A. No, it does not come with a lanyard. Q. What is the weight of the Apex? A. The Apex weighs 21.1 oz. A. The riflescope measures 335x80x75mm. A. Yes, the Apex comes with an optional external power supply (8-15V). Q. Is the device weatherproof? 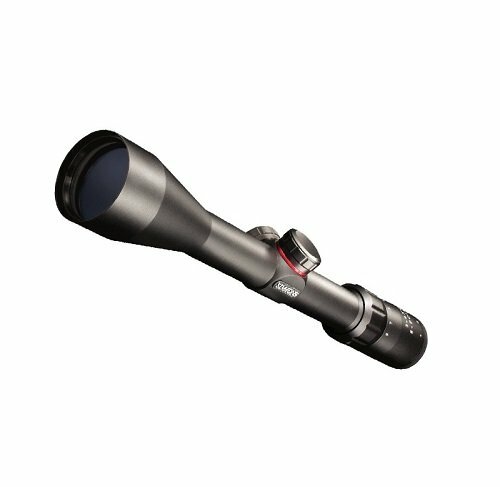 Now that you have read the review of the Pulsar Apex XD38A, you can see that it’s a unique scope with unique features for hunters, gamers and outdoor enthusiasts alike. Ultimately, the scope’s features including: an impact-resistant body, a 5-hour battery run time, a high-resolution LCD display, and a wireless remote control, just to mention a few, give purchasers value for money.